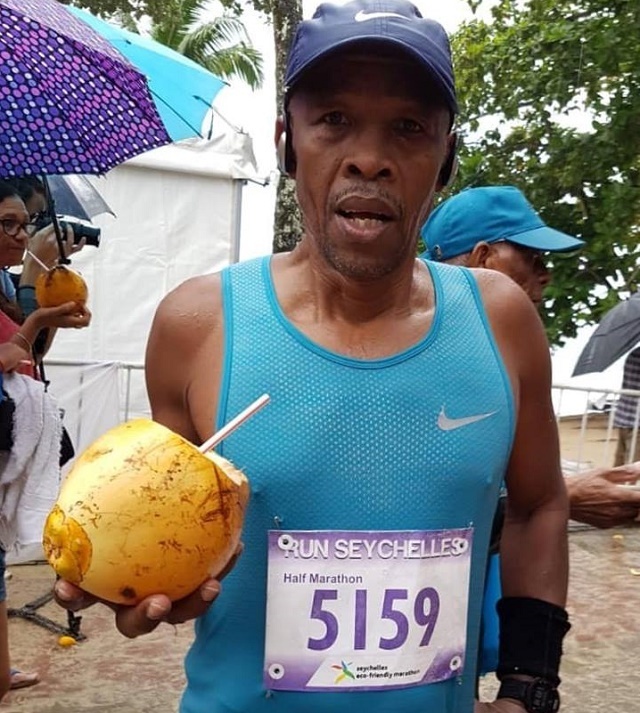 (Seychelles News Agency) - A 59-year-old Seychellois is raising fund for the construction of a cancer centre in Seychelles by running in the annual eco-friendly marathon. Joel Melanie started his project -- dubbed ‘run for a good cause’ -- through social media. He is seeking sponsorship from individuals and companies and is raising money for the Cancer Concern Association, a non-profit organisation which supports and assists cancer patients and their families. “It was just for fun. But then I received words of encouragement from people who said they were inspired by me and appreciated what I was doing. It prompted me to do this project, to have fun but for a good cause” Melanie told SNA. This was Melanie's 11th marathon, an event which attracts over 200 locals and foreigners every year since its inception in 2007. In this year’s marathon, which took place on Sunday, February 24, Melanie clocked 2 hours and 28 minutes for his 21 kilometres. 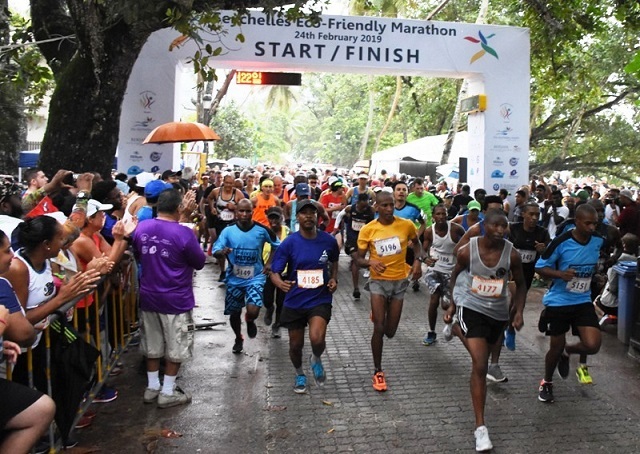 According to the Ministry of Health, cancer is the second-leading cause of death in Seychelles, a group of 115 islands in the western Indian Ocean. 130 cancer-related deaths were recorded in 2018. Melanie had set a target of SCR100,000 ($7,308) which would go towards the construction of a headquarters for the Cancer Concern Association. The Vice Chair of the Association, Josei Michaud-Payet, told SNA that Melanie wanted to associate his fund raising with one of the association’s big projects. One important project is the building of the cancer centre. “When I told him of the project, he was immediately interested to run for this cause. So he started his campaign to raise fund and he has done really well. There are still contributions coming in and once all are in the Association will reveal the total amount to the media." Speaking to SNA after the race, the 59-year-old said he surpassed this figure and was overwhelmed by the amount of interest his project has generated. “Sponsorships are still coming in and I have nearly reached SCR150,000 ($10,992). I run for fun and for my health but I am encouraged by the generosity of all those who sponsored me,” said a beaming Melanie. Michaud-Payet said the contributions will go towards the fund for the construction of Cancer Centre but so far no location has been identified. “We are hoping that the government will hear our appeal and that soon we can be allocated a plot of land or some good benefactors can sponsor for this cause." The 59-year-old who has lost loved ones to the cancel also hopes to see more awareness activities targeting men. “A lot of services and facilities are available for women, where they can have check-ups but we rarely hear about cancer and men. I hope that equal attention is given to men as well. As a man, I am proud to be doing my part,” said Melanie, who can be found on social media under the handle Joel59RunClu. According to health statistics, 20 percent of all deaths occurring in the island nation is due to cancer. From January to November 2018, a total of 214 new cancer cases were diagnosed -- 122 males and 92 females. The five most common cancers occurring in men are prostate, colorectal, oral cavity, larynx and stomach cancers. In women, the five most common cancers are breast, colorectal, cervical, uterine and ovarian.